No two photographers will rank these in exactly the same way, so how to choose? Some reviews (eg Consumer Reports) place arbitrary weightings on various factors, and arrive at a score. The author has never found satisfaction with such an approach (whether it be a car, a toaster, a camera or a friend), and considers it a pointless exercise. Of particular note is the last item: cost. Many reviews inject the financial cost into the rating of an item. Cost is meaningless without concrete metrics to establish value, which depends on both cost and the importance of specific features to an individual, not a random population. Still, cost is a deciding factor for some, and so let’s consider that first. Obsolete discussion for these cameras in 2010, but still applies in concept to current models. Neither of these cameras are still in production in 2010, current pro models are full-frame, consider the amazing Nikon 14-24mm f/2.8G and the excellent 24-70/2.8, see my B&H Photo wish list. If cost-per-pixel is your primary consideration, there is a steep premium to pay for the D2Xs; you’d have an extra $2700 by going with the D200. That’s enough to buy the Nikon 70-200 f/2.8 AF-S VR , a SanDisk 8GB Extreme III flash card, several spare D200 Nikon EN-EL3e batteries, and two-year Nikon D200 Extended Service Plan , with money left over! Cost can also come into play when considering storage. The file size of the D2x is typically 20% larger than the D200. The increased storage required by the D2x means 20% more flash card storage is needed, as well as larger computer hard disks and backup. When these factors are added in, the downstream costs could increase for the D2x. However, as the amount of storage and number of lenses increase, the percentage difference between the systems decreases. It all depends on the breadth of the final system. This review was released in July 2006. Subsequent to that, the Nikon D2X was replaced with the Nikon D2Xs, a slightly improved model, but one whose image quality should be identical. Some features of the D2Xs might be better (or worse); notable items include the rear LCD screen. The following table contains subjective evaluations of various areas for each of these three cameras, ignoring cost. There should be enough material in this review for you to ignore this table, and make your own decisions as to what is best for your particular needs, but this table conveys the near-match in subjective considerations, making the D200 a no-brainer for many photographers. Before buying, alternately hang the D200 and D2X around your neck with the same lens attached. Look through each viewfinder. Given the very close performance of the two cameras, these basic ergonomics might be the deciding factor (given the price). A camera not carried is a picture not taken. Do keep in mind the DK-17M magnifying eyepiece for the D2x will yield a nicely magnified viewfinder image. The D2X screams “professional shooter at work”, and could be troublesome when working among camera-conscious subjects. The D200 offers a less threatening look to some subjects, and might even be allowed in some venues which discourage “professional looking” cameras, simply because it is much smaller than the D2x. If feasible, make a large print taken side-by-side with each camera. Unless you regularly make 24 X 16 prints or larger, the tiny resolution advantage of the D2x won’t matter. Remember also that two D200 bodies can be purchased for the price of a single D2x body. A broken camera doesn’t take pictures, so a backup is always a good idea, especially in remote areas, or on jobs where camera failure is simply not an option. I own both the D2X and D200 as of July 2006. I now shoot the D200 most of the time simply because it is smaller and lighter. Where I expect rapid shooting of many frames, or where top resolution really matters, I use the D2X. Landscape: The D2X, with its higher resolution. But optimal lens performance and focus are required to extract that resolution. Lower contrast of the D200 could be a counter-argument. Sports and wildlife: The D2X, with its available high-speed crop mode. Portraits/people: The D200 for its size and weight (less intimidating), unless the shots are formal, or of large groups where every bit of resolution is needed. Macro: Either camera. But depth of field concerns make the resolution difference largely academic if stopping down to f16 is required. All-around shooting : The D200 for its size and weight. Casual snapshots: Who wants to carry an SLR for snaphots? I prefer the pocket-sized Panasonic Lumix FX01, or similar camera. Please see the specific conclusions in each section: Resolution, Noise, Dynamic Range, Color, Long Exposures. Please also see the specific issues on the Usability page. The D200 offers a compelling value with a feature set on par with the D2X for most applications. 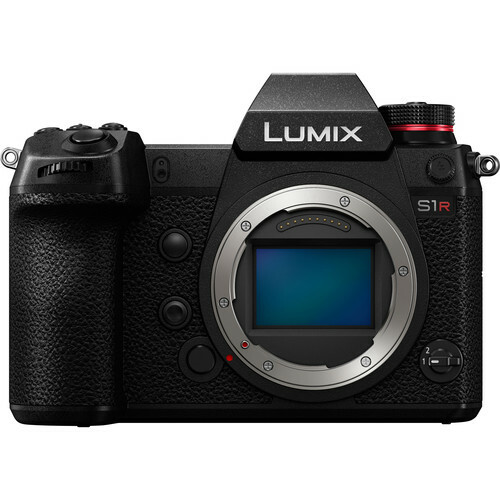 Seven months after its debut, it still is out of stock at many camera stores—testimony to the fact that it is the best DSLR value on the market today. Those looking to get into Nikon equipment should start with the D200, using the money saved for extra lenses and accessories, confident in the knowledge that the D2x has little to offer over the D200 in most situations. Users with specific needs should look carefully at the D2x feature set, which might be important for their specific projects.